BACK PAIN? DID YOU KNOW? *Worldwide, back pain is the #1 cause of disability, preventing many people from engaging in everyday activities, as well as work. *Experts estimate up to 80% of the population will experience back pain at some time in their lives. *Back pain is one of the most common reasons people miss work. *50% of all working Americans admit to having back pain symptoms each year. *Most back pain cases are mechanical or non-organic—meaning they are not caused by severe conditions, such as inflammatory arthritis, infection, fracture or cancer. *Back pain causes more than 264 million lost work days in one year. *Back pain is the third most common reason for a visit to the doctor’s office. *Low-back pain for Americans comes at a hefty price tag of $50 billion in health care costs each year—add in lost wages and decreased productivity and that figure easily rises to more than $100 billion. It’s a postural deviation whereby the shoulders pull up, round forward, and the head is carried forward. 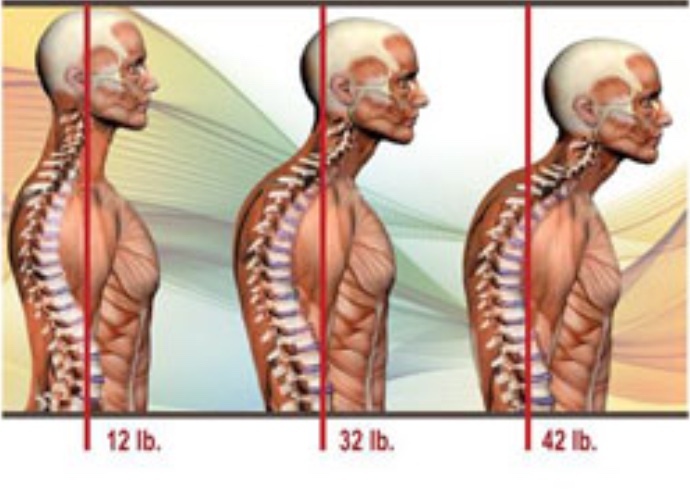 Mostly, it’s an imbalance of tight and weak muscles causing those postural distortions just mentioned above. If not recognized and corrected it can lead to more severe problems. A Study has revealed that 48.7% population of the students have neck pain, and the results have concluded that high prevalence of upper cross syndrome in medical students of the University of Lahore and a 66.8% of the population was found to have poor studying posture. 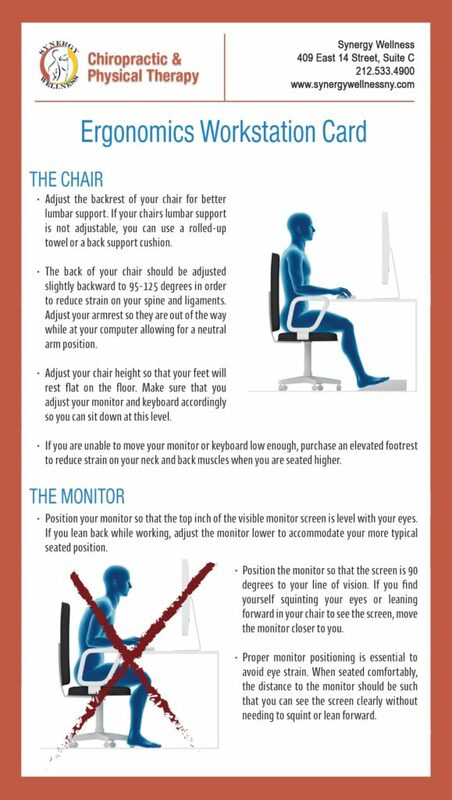 The most common causes of Upper cross syndrome are due to lifestyle habits; such as working at a desk or in front of a computer with poor ergonomics or computer setup. We’re spending more hours with our head forward and down in our smartphones and tablets. Individuals that work a desk job or with their head down or forward most of the day are more likely to develop upper cross syndrome with headaches, neck & shoulder pain and stiffness. Careers at higher risk are dental hygienists, attorneys, students, accountants, chiropractors, desk workers, software engineers. The head weighs an average of 12 lbs. when standing with good posture; your ear should be aligned with your shoulder. Every inch of forward head carriage adds 10 pounds of weight to your spine. To put that into perspective; the weight of your head almost doubles for just 1 inch of forward head posture. We are creating an imbalance in our muscles, causing tighter pectoralis major, pec minor, suboccipital tendon, as well as the tight trapezius muscles. The antagonistic muscles are often weak; lower trapezius, rhomboid, and cervical (neck) flexor muscles. WHAT ARE THE LONG-TERM SIDE EFFECTS OF (UCS) UPPER CROSS SYNDROME? The long term consequences can become a matter of life and death since it is estimated that 20% to 40% of older adults have an accentuated thoracic posture or what is commonly referred to as hyperkyphosis. Causing poor respiratory function and loss of balance leading to falls and eventually fractures. Some people develop chronic migraines or headaches associated with UCS. With over 300,000 hip fractures a year in the over 65 population and 95% of those fractures are from falls. This can all be mitigated by correcting bad posture; it’s never too late to start. Damage to the spine is irreversible, but your posture is not. Loss of the cervical curve (also called cervical kyphosis) leads to early onset spinal arthritis, cervical disc degeneration, 30% decrease in vital lung capacity due to loss of cervical lordosis and a neurological inhibition of the peristaltic activity of the gastrointestinal tract causing a sluggish bowel. HOW CAN I FIX UPPER CROSS SYNDROME?